The wife and daughter of the pilot who was flying the plane carrying Emiliano Sala have said they will never give up hope of finding him, as an inquest was opened and adjourned into the footballer’s death. David Ibbotson is still missing after the plane, which was flying Argentine footballer Sala from Nantes in France to Cardiff, crashed in the English Channel on January 21. The 28-year-old striker had just signed for Cardiff City from Nantes in a record transfer deal. Acting senior Dorset coroner Brendan Allen heard evidence that a post-mortem examination carried out by Home Office pathologist Dr Basil Purdue had given Sala’s cause of death as “1a) head and trunk injuries”. The hearing, which lasted five minutes and took place at Bournemouth Town Hall in the absence of members of Sala’s family, was adjourned until November. Senior coroner’s officer Ian Parry confirmed Sala was pronounced dead at Portland port on February 7 and was formally identified by fingerprints. 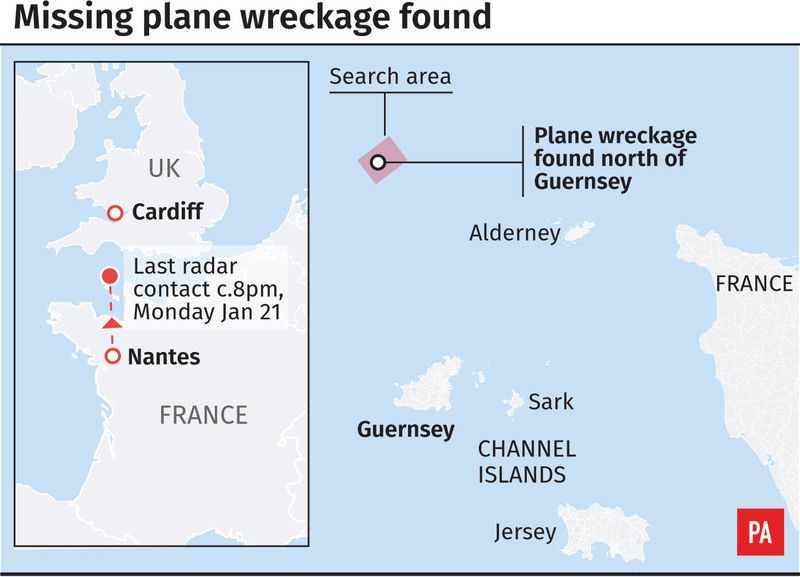 “On Monday January 21 a Malibu aircraft left Nantes airport for Cardiff,” Mr Parry said. “The aircraft was carrying two persons, the pilot David Ibbotson and passenger Emiliano Raul Sala. “Air traffic control lost contact with the aircraft during the flight and an extensive search commenced off waters at Guernsey. “Subsequently the plane was located on the sea bed in international waters. A £27,000 donation under the name Elie Lottin, apparently made by France’s World Cup winning footballer Kylian Sanmi Mbappe Lottin, is also listed. Mr Allen formally adjourned the inquest for further inquiries to be carried out. “We are going to adjourn the inquest into the death of Mr Sala,” he said. “I am aware there are further investigations that are on-going; investigations being conducted by the police, Air Accidents Investigation Branch and by the Civil Aviation Authority. “I am aware that in relation to the Air Accidents Investigation Branch’s report into their investigations, they are not likely to be concluded for a period of between six and 12 months.